Summary: Entertainment and sports law are two different legal fields that are often merged into one by law schools and firms. When one thinks of law or lawyers, rarely does either word correspond with entertainment and sports. However, entertainment and sports can provide a large and lucrative practice field for attorneys who seek to study either field. Keep reading to find out the best law schools for prospective attorneys who want to get into the game of entertainment and sports law. Entertainment and sports law are two different legal fields that are often merged into one by law schools and firms. Sports law involves the application of different disciplines of law to both amateur and professional sports. This includes labor, contract, antitrust, and tort law. When there is a legal dispute in a sports-related sector, a sports lawyer is who usually is called upon. Quite similarly, entertainment law (also known as media law) involves applying different areas of law to the entertainment industry. This includes intellectual property law and defamation, first amendment and right of publicity issues, labor and employment law, corporate finance, bankruptcy, insurance, and others. In every nation, recreation is a big source of revenue, be it sports or entertainment. It goes without saying that sports and entertainment law is one of the most popular legal fields for law students because they promise a bright career (well, that is the thought anyway!). With the huge number of sports and entertainment sectors around the world, there is always some dispute or the other that needs a lawyer. Law students seeking careers as sports or entertainment lawyers need several years of exposure to both practices before they are at a point where they can adequately represent an athlete or entertainer. This exposure can be gained by working for a sports team or for the in-house legal department of any entertainment or media house. Students need to specialize in one or more fields of law before they can become sports or entertainment lawyers. There are several law schools where students can specialize in sports and entertainment law. Not many know about these programs because they aren't as popular as other fields of law. Here are a few of the best law colleges offering specialization in sports and entertainment. University of Southern California: USC is one of the most renowned universities offering programs in sports and entertainment law. The university offers programs and internships in sports, media, and entertainment- related. Some of the sports and entertainment-related courses at USC include Deal Structure, Drafting and Negotiation, Intellectual Property Litigation, Television and Digital Media: Business and Legal Issues, Video Game Law in Practice, and Sports Law in Practice. USC also has an incredible alumni network to help students get jobs in sports and entertainment law. Most of these courses last approximately 12 weeks. University of California Los Angeles: UCLA is another top name in sports and entertainment law schools. Being situated in the home of the entertainment industry, UCLA Law College offers students a solid foundation and comprehensive understanding of the legal side of sports, media, and entertainment sectors. Some of the courses taught at the UCLA law college are Art and Cultural Property Law, Sports Law, Music Industry Law, and Motion Picture Distribution. Students can specialize in the whole 16 week program, or select only certain courses. Besides a solid curriculum, UCLA also has a strong alumni network that makes finding a job easier after completion of the program. Screen Actors Guild, Fox Music, NBC, Universal, Comedy Central, and Warner Interactive Entertainment are some of the places where UCLA students can land prestigious internships. Stanford Law School: Intellectual property law is what Stanford Law School is widely known for, but their excellence isn't limited to that. They also have a brilliant entertainment and sports law section, offering mostly intellectual property law and sports law courses. 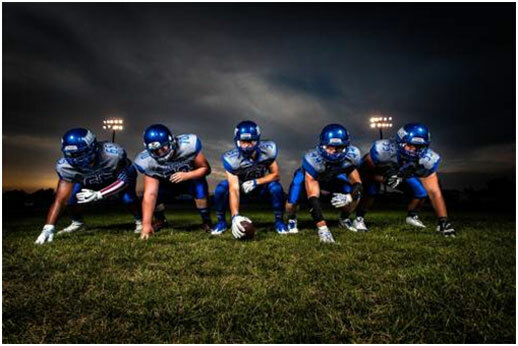 Their sports law section covers the different legal and business aspects of professional sports, like antitrust law, labor law, collective bargaining, torts, contracts, agency, constitutional law, administrative law, and intellectual property. The entertainment law teaches the practice of entertainment-related law by educating students about opportunities in movies, music, sports, theater, interactive media and other fields in the media. Stanford also has its own Entertainment and Sports Law Association. Loyola Law School: The prestigious Loyola Law School is located in Los Angeles and offers students a broad range of courses taught by top faculty and industry leaders. Courses include copyright law, business associations, music law, art law, motion picture production, and sports law, which include antitrust, contract, labor, trademark, tort and other legal issues in the sports industry. Loyola's Master of Science in Legal Studies (MLS) has a specialization in Entertainment and Sports Law which teaches students the basics of these industries. The program can be completed fulltime in one year, or part time in two years. Loyola also has a prestigious Sports and Entertainment Law Society where students and alumni get access to the crème de la crème of the industry. University of Miami: South Florida and Miami are major centers of sports, arts, music, and movies. Taking advantage of their strategic location, the University of Miami offers a comprehensive program in Entertainment, Arts, and Sports Law. In fact, it is the only law school in the world to offer a joint degree program in the entertainment, arts, and sports law. There are both resident and visiting professors that teach at Miami Law School. Some of the courses taught are Representing a Professional Sports Franchise, Media Distribution, Media & Entertainment in the Digital Age, Art Law, Collective Bargaining in Entertainment/Sports, Copyright Law, Entertainment Law: TV and Motion Pictures, Negotiating and Drafting Sports Venue Agreements, Museum Law, Representing the Pre-Professional Athlete, Representing the Professional Athlete, Negotiation Skills, Social Media and Online Liability, Motion Picture Financing, and Artist-Endowed Foundations. Yale Law School: Yale is another reputed name in the world of sports and entertainment law. Yale Law School offers programs in various disciplines, and one of them is sports and entertainment law. Not only does Yale offer the best in law education, but also a diverse network that helps students land coveted jobs in the media, entertainment, and sports sectors. Boston University: The law school of Boston University offers a program in sports and entertainment law, although not all courses in the program are offered every year. Boston University ranks among the top 25 universities in the world. Their law school is also well known for having produced some fine legal professionals in the past. It must be noted that Boston Law School does not offer a combined program of entertainment and sports law. There are several separate courses and students are free to select any. Some of the courses offered include Contract Drafting, Copyright Law, Entertainment Law, Intellectual Property, Law and Sports, Licensing Law and Practice Workshop, Antitrust Law, and Labor Law. Students require a foundation in general law to be eligible for these courses. Pepperdine University: A premier university and law school, Pepperdine’s entertainment and sports law courses are some of the best in the country. Located in Malibu Hills, California, Pepperdine University offers a joint degree program in sports and entertainment law. Like most other entertainment and sports law programs, Pepperdine also focuses on the most important legal aspects such as licensing, trademark, and copyright issues, employment contract, tort, labor and employment, bankruptcy, securities, agency, right of privacy, defamation, clearance of rights, product placement, advertising, tax, and insurance. University of San Francisco: The courses at the University of San Francisco have been designed to keep in mind the converging worlds of sports and entertainment. Both are forms of recreation, and today, sports extravaganzas are no less than any entertainment show or event. Not only does the university provide solid courses in sports and entertainment law but also gives students the opportunity for prestigious internships, which build them for the real world. Leading faculty members teach popular courses like Contracts, Entertainment and Media Law, Intellectual Property Seminar, International Intellectual Property, Patent Licensing and Monetization, and Sports Law. University of New Hampshire: The people at UNH believe that in order to survive in the rapidly evolving and changing legal scenario, it is vital to be versatile in the various fields of law. Therefore, the university offers a prestigious law course focused on entertainment and sports law. Not only is the course comprehensive, but the faculty has deep contacts within the sports and entertainment industry, which can help students get well placed after completing the course. This is a fulltime residential program, which gets visiting faculty from various sports and entertainment fields. Students who take this course come out as well rounded sports and entertainment legal professionals. Suffolk University: The sports and entertainment community at Suffolk University, Boston, is very strong, including the sports and entertainment law courses and the Sports and Entertainment Law Student Association. Aside from regular courses like Copyright Law, Entertainment Law, Gaming Law, Intellectual Property and Licensing, Labor and Employment Arbitration, and Sports Law, there is the student association where there are conferences, networking fairs, and events to prepare students for the real world. Duke University: Located in North Carolina, Duke University offers separate programs in Entertainment Law and Sports Law. For being eligible for the Entertainment Law course, a student must have completed a program in Intellectual Property Law or both Copyright Law and Trademark Law and Unfair Competition. The Sports Law - Paralegal Specialist Certificate is an online course for which a student must have worked three years as paralegal under an attorney. A legal career in entertainment and sports might seem like a glamorous career, but they also come with a lot of responsibilities. A capable lawyer will be skilled enough to navigate through any issue that his client faces. And this capability comes from a solid educational background. All these top colleges are industry leaders in providing foundation courses in entertainment and sports law. Some offer them as a combine program, while others offer them separately. After completion of the program, aspiring lawyers must work at a sports or entertainment company to gain more insight into the field. Legal professionals who practice entertainment and sports law get to work in a variety of environments. Some might work in private law firms, representing individual performers, athletes, teams, filmmakers, producers, distributors and studios, theater and dance companies, bands, and orchestras. Large organizations often have their own entertainment and sports departments where a lawyer can get hired upon possessing the required skills and experience. There are also boutique firms that specialize in sports law, entertainment law, or both, which can be advantageous to attorneys who only want to practice within the area of sports and entertainment. Sports and entertainment law is a dense realm, but it also offers exciting challenges and the joy of solving complex cases. What Does It Mean As An Attorney To Work In Entertainment And Sports Law? LawCrossing helps employ lot of people. It is a very useful website. I would surely recommend it to others. LawCrossing Fact #72: Those who subscribe to LawCrossing will find jobs more easily than those who don’t because they will be able to view all information on all jobs.